Opening day is scheduled for just over a week away and we’re going to kick off the season in style with non-stop excitement on and off the slopes. Snowboard Freestylers to open season with new Big Air format in Stockholm Alessandro Boyens (GER) After the alpine snowboarders opened their 2006/2007 NOKIA Snowboard FIS World Cup season in Landgraaf (NED) and Sölden (AUT) in October, the freestylers will launch their World Cup winter in Stockholm (SWE) next Saturday. The kings of the air will be showing their tricks at the Big Air premiere in the Swedish capital in the evening of November 11th, 2006. The top 16 qualifiers among the jump aces will also debut a new knock-out system format in the night finals. In the one-on-one duels consisting of two jumps per competitor, only the winners advance to the next round. The winners of the two semi-finals will then jump for the World Cup victory, while the losers compete for the places 3 and 4. The strong field of athletes at start is led by two-time World Champion Antti Autti (FIN), together with his team mate Risto Mattila as well as Mathieu Crepel (FRA), Hampus Mosesson (SWE), Giacomo Kratter (ITA) and Stefan Gimpl (AUT). Gimpl, the defending Big Air World Cup champion, commented: "I'm looking forward to competing in Stockholm. The strong starter field guarantees snowboarding at its best. And the new knock-out-format will make the finals more enthralling for the spectators." Rainer Hertrich ready to hit the slopes in Chillan (CHI) You might think you are a hard-core skier yourself. Well, have you ever skied every single day for a year straight? Probably not, let alone for three years. But someone has: Rainer Hertrich, a Copper Mountain, Colorado (USA) native, just set a new record for having skied every single day for three years in a row on 31st October, 2006. Initially just a very avid skier, Hertricht once stumbled upon an elite ski club for skiers who skied more than 6 million vertical feet (almost 2 million vertical meters) a year. Since that turned out to be no problem for him, given that he easily hit 7 million vertical feet a year, he began to think in record terms. The actual record in the Guinness Book of World Records was then held by British skier Arnie Wilson who had skied 365 consecutive days in 1994. Hertrich passed his mark on November 1st, 2004, and went on to hit the mark of 1000 consecutive days of skiing on July 27th. Madshus celebrates 100th Anniversary Approximately 400 guests attended the centennial anniversary celebration of Madshus Skis in Lillehammer (NOR) last weekend. Coming off from its best Olympic season with 50 medals won in the Cross-Country and Biathlon events at the Turin Olympic Winter Games, Madshus – boasting to be the World’s Oldest Ski Company – can look back to an extraordinary history in ski sport. Founded as a one-man undertaking by Martin Madshus in a barn in Vardal, Norway in 1906, Madshus may take credit for example for the first glued sandwich skis and many other technological firsts, as well as many of the successes of such Nordic stars as Thomas Alsgaard (NOR) and Katerina Neumannova (CZE). Today the second largest Cross-Country ski manufacturer in the world, Madshus has been owned by K2 Corp since 1988. The cooler air moved through in the afternoon yesterday and snow could be seen settling on Yotei. Overnight the snow settled down to about 700m across the region. Today and tomorrow the freezing level is expected to rise again ahead of another cold front on Friday. This new front should bring reasonably cold air with snowfalls down to around 200m. This colder air should stick around for a few days with significant snowfalls on higher parts of the mountain. 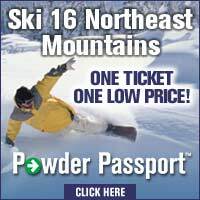 2006-2007 SKI AND SNOWBOARDING SEASON PASSES are on sale and EARLY RATES are available until November 19, 2006! Don't miss our on the great savings. Fall is almost gone and winter is just around the corner. Time to start thinking about SNOW! Specials are available for groups or individuals. It doesn’t matter your skill or age, there is a package to fit everyone. Call 907-754-2275 or click HERE for more details. SEASON PASSHOLDERS' DINNER Friday, November 10th at the Columbia Ballroom in the Alyeska Prince Hotel from 6:30pm - 11:00pm. All '06/07 Season Passholders are invited. Bring your current season pass for admission and 2 complimentary drink coupons. Passholders can bring a guest, $25 for an adult, or $13 for ages 17 and under. This year's theme, "You Can Teach a Old Dog New Tricks." Celebrating 50 years of Alpine Apparel. Wear or tape together your oldest gear to qualify for great prizes. Enjoy Asian cuisine, beer and wine tasting, live music, and fabulous door prizes. The party does not stop there. Apres dinner, those of age may continue the festivities and head to the special opening of the Sitzmark, with live music from Top Secret. Avoid the drive home and stay the night with our $99 Chill With A Movie Package. For More information please contact (907) 754-2211 or click HERE. To RSVP to the Event Please click HERE and let us know how many people you will be bringing to the event. A new winter season is on it's way. The "marmottes" have left the grassy fields for their Winter burrows, the trees are now yellow, orange and red, swim suits are packed away until next Summer, and the ski jackets should soon be ready to wear . Snow is expected soon and in a months time, Val d'Isère will be open for the Winter season 2006/2007 ! Come and ski your first tracks in the "Espace Killy"
Tahoe City. 42ND ANNUAL SKI SWAP. Skiers, the season begins Nov. 11! Sat., Nov. 11 in North Lake Tahoe ,.. when locals and visitors start to, "Think Snow" as the North Tahoe Ski Swap opens its doors. The 42nd North Tahoe Ski Swap will be held from 10 a.m. to 4 p.m. Sat., Nov. 11, at the North Tahoe Middle and High Schools in Tahoe City. Over 10,000 items, // new, used and demo ski and snowboard equipment, clothing and winter-related items will be sold as a fundraiser for the community's middle and high schools. Admission to the ski swap is $1 for adults, 50 cents for children, with those under 6 free. THIS IS A GREAT EVENT WITH more deals than a hand full of snowflakes ! Stevens has lots of it, averaging 450" of snowfall each year, covering 1,125 acres of skiable terrain, including 37 major runs and numerous bowls, glades and faces. As the White Pass Expansion effort heats up once again, we are asking our growing customer base to join us as we work towards achieving this goal. You, as a ski area and national forest user, are in a unique position to express your opinion and influence the decision on expansion. WP believes that you will agree there is a need for more diverse skiing and snowboarding opportunities, and a need to provide additional terrain to reduce skier and snowboarder density within the existing ski area. We hope that you will support White Pass Company in our request for expansion of the special use permit into Hogback Basin with a letter or an email. · Chairlift 5. Fixed grip quad chairlift approximately 3,500 feet in length with a top terminal elevation of 6,150’. Chairlift 5 would include 4 ski trails and one lodge access trail along with an access trail from the existing Holiday Trail and an egress trail to the existing Quail Trail. · Chairlift 6. Detachable quad chairlift approximately 4,050 feet in length with a top terminal elevation of 6,460’. Chairlift 6 would include seven ski trails and an an egress trail to the mid-mountain lodge and onto the existing Quail Trail. · Terrain. All developed and undeveloped trails and facilities are in a sub-alpine area of naturally open vegetative terrain necessitating very little tree removal and almost no ground disturbance. · Mid-Mountain Lodge. The Mid-Mountain Lodge is proposed to be located on a slight ridgeline between chairlifts 5 & 6. This structure is a critical component in the development of this basin, by allowing the White Pass guest to enjoy the two upper chairlifts without returning to the base area for services. The footprint of the structure is planned to be approximately 2,000 sq. ft. with two levels. FUN: women, men & juniors (until 1986) / starting place: 4.45 p.m. at Sunnegga. SPRINTERS: women, men / starting place: 5.00 p.m. at Sunnegga ELITE: women & men / starting place: 4.45 p.m. in Zermatt. New lift Chinese province Hebei, 270 km North of Beijing. In March 2006, Michael Seeber, president of the company LEITNER group and Alessandro Marzola, son of the Dolomiti Superski founder, Gianni Marzola, travelled to China and signed the contract for the installation of the completely new “Dolomite-style” ski resort. Due to its geographical position, its climate and its high population figure, Hebei focuses on the development of ski tourism. The planned ski resort, named Saibei, should emerge in the yet uninhabited valley in the district of Chongli. Among 15 slopes and 6 ropeways, the two South Tyrolean experts in ski tourism plan the construction. * Vienna: Great Prices, Great Rooms, hotels.com We Know Hotels Inside And Out. Kitzbühel is enjoying the quiet before the winter start. It's a time for reflection, for red wine and roast chestnuts - and also for planning the next winter holiday and getting those leg muscles into shape for the skiing! That's something you'll need in Kitzbühel this winter - with so many new items to keep you on the go (ok, the muscles can be a bit smaller for snowshoers and après-rather-than-ski fans!). For the moment all we can do is enjoy the late autumn sun and look forward to the first magical blanket of snow. By the way, I now know that people think you a bit weird if you are found fondly stroking your new skis while murmuring something about the upcoming wonders of winter in Kitzbühel! KITZ IN THE SNOW! WINTER START ON 8 - 10 DECEMBER Don’t miss the open-air concerts, free ski tuition, ski tests, après-ski parties, and miles and miles of perfect pistes! Click here for the big winter start programme and lots of attractive packages for you to book on-line! The entire state of Colorado is under a winter storm warning today and from north to south, Colorado ski resorts are reporting huge overnight snowfall. Resorts in the northern central Rockies and San Juan mountains are reporting up to a foot of snow while Front Range ski areas have received more than TWO feet of powder. It’s only October, but year-to-date snowfall totals are HUGE: 73 inches at Loveland, 65 inches at Wolf Creek, 60+ inches at Aspen, and 53 inches at Telluride. Thanks to all this great snowfall, Wolf Creek and Keystone have both revised their opening dates and will be opening a week earlier than expected. Tomorrow (Oct. 27), Wolf Creek will celebrate its earliest opening ever. Keystone and Copper both plan to open Nov. 3. Check out the latest resort opening dates at www.ColoradoSki.com. The Stubai Glacier represents one of the most extensive all-year-skiing areas in the Eastern Alps with 68 miles of slopes and off-slope tracks of all levels of difficulty and a 2.8 mile high altitude cross country slope. From gentle runs for beginners and families to challenging moguls, to heart pounding double black diamond runs, Stubai Glacier has everything you need for a great day of skiing or riding. The glacier ski area is complemented by the lifts on Neustift`s local fun mountain, the “Elfer” ski resort. Neustift is known far and wide for its beautiful ski tours. You can also use more than 2,8 miles of cross country tracks, wander along two winter hiking trails or enjoy a ride on one of the numerous natural tobbogan runs, among them the longest natural tobobban run in Austria. To find information on a resort, event or topic, use the "SEARCH THIS BLOG " field at the top of this page.